Working to improve the capacity and food security of 25,000 smallholder farmers in the Philippines. Form 250 agroenterprise clusters for enhanced value chain integration and participation by smallholder farmers and micro-enterprises. The CocoaPhil was founded in 1993, as a non-stock/non-profit organization, serving as an umbrella association representing the interests of the local cocoa industry; farmers, cooperatives, processors and traders. Since the mid-2000s, CocoaPhil has embarked on a large-scale project to revive the flagging Philippine cocoa industry. The CocoaPhil has worked with more than 16,000 farmers organized within 340 cooperatives by providing training seminars, planting materials and consulting out of successive grants from the USAID and USDA through a US based NGO, with the support of World Cocoa Foundation (WCF) and assistance from the Philippines Department of Agriculture. CocoaPhil is committed to further expand the number of hectares growing cocoa in pursuit of the Philippines Cocoa Roadmap by expanding partnerships with farmers groups, NGOs, local government units and government agencies, while strengthening the cooperation with those it has established collaborations. The Roadmap for sustainable Cacao in the Philippines was crafted in 2006, led by the CocoaPhil and with the interventions from the Department of Agriculture, the World Cocoa Foundation, and the Mars Incorporated. The Roadmap has defined the strategic interventions that perfectly fit into the vision and goals for development of the Philippines. While Cacao Production could not provide all the answers in pursuit of poverty alleviation and sustained growth in agriculture, it could take a good part of the sum of efforts to address them. The Fundamentals of our campaign for sustainable cacao production as outlined in the Roadmap was anchored from the goals and vision for development, and its direction firmly fixed with the reforms and sustainable development strategies that the Philippine government is pursuing. The Philippine has over 3.2 million hectares of farmland planted with coconuts. As an intercrop under coconut cacao production could be a viable source of additional income without disrupting the existing crop activities. It is the organization’s objective to develop at least 100,000 hectares into cacao farms under coconut, for a total of at least 50 million trees planted, and achieve annual production of 100,000 metric tons per annum by Year 2020. As part of the growth strategy, the CocoaPhil teamed up with a local diversified holding company to expand its services. This is an integrated assistance plan for farmer’s cooperatives which includes production planning, input support, and technical consulting and training, and post harvest support services. The overall objective is to ensure that the Philippines can provide the global cocoa industry with a predictable and sizeable supply of high-quality cocoa beans. 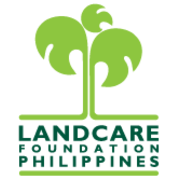 The Landcare Foundation of the Philippines, Inc. (LFPI) is a non-profit and non-stock non-government organisation (NGO), based in the Mindanao and Visayas regions of the southern Philippines. It was established by the International Centre for Research in Agroforestry (ICRAF), now known as the World Agroforestry Centre, in September 2003, as a mechanism to help develop the landcare movement in its pioneer sites in the provinces of Misamis Oriental and Bukidnon in northern Mindanao. Since those early beginnings, LFPI has grown its operations to several sites in northern, southern and western Mindanao and into the province of Bohol in the Visayas. The organisation has also matured into a vibrant self-managed NGO with a wide and diverse range of programs, committed to developing and maintaining the landcare movement throughout the Philippines. 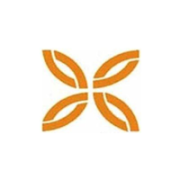 Landcare is a farmer-centred and farmer-led, group-based approach to agricultural extension, aimed at improving rural livelihoods on a sustainable basis. Landcare in the Philippines is an alternative model for extension adaptable for local government units, national government agencies and other key development players. It is a people-centred approach for extension that brings all key stakeholders in the community together to learn and jointly address a broad range of livelihood and natural resource management issues. The issues may be degradation of resources on the farm, low farm productivity, poor marketing systems or even bigger issues that affect the wider community. Landcare holds great promise for the nation as an effective means of addressing these issues. Project development and management. We develop project proposals for interested organisations or groups. Project implementation. We manage or serve as partners in the implementation of projects for local and international donors, NGOs and development agencies. Capacity building. We provide capacity building services to Peoples Organisations (POs) and Local Government Units (LGUs). For POs, our services are mainly in the fields of developing and improving farming systems, developing agro-enterprise clusters, strengthening community organisations, and managing farmer-based R&D. For LGUs, our services are mainly in the fields of transferring technology, facilitating NRM-based Barangay Development Plans, and managing micro-watersheds. Technical assistance. We provide technical assistance in research-based improvement of farming and marketing systems, and participatory technology development. Mainstreaming Landcare. We provide policy advocacy, LGU program development, NRM-based Barangay Development Planning, and development of community-based extension teams and para-legal groups. The Institute accomplishes this mission through research and development work in our central and six branch stations, coordinating with a network that comprises 57 agencies and 70 seed centers strategically located nationwide. Develops rice lines and suitable varieties with yield potential of more than 10 t/ha - good grain quality that withstand stresses due to diseases, insects, and abiotic conditions. Promotes community-based conservation, natural and organic farming or diversified farming system models and enterprises. Advocates policies favorable to the country's rice industry. Develops producion management technologies and machineries to increase yield, reduce cost and losses, and protect the environment. Established on November 5, 1985 through Executive Order (EO) 1061, later amended in 1986. Last March 4, 2002, PhilRice was transferred from DA to OP through EO 76 to lead the implementation of the president’s flagship program - Hybrid Rice Program. With 320 staff members and 970 service contractors (total of 1,920 staff members). Of which 73% are dedicated to research and development. PhiliRice aims to develop and promote te use of knowledge and technologies to ensure self-sufficiency and food security of the counrty. During the past years, PhilRice has focused on improving rice harvests and making the land productive. Now, PhilRice prepares for the future of rice and its environment with its new research and development programs: Coping with climate change, High-value products from rice and its environment, Farming without fossil fuel, Intensified rice-based agri-bio systems, and Future rice. Crafting our new programs, however, does not imply that PhilRice is yet to address the trends in climate change, energy, natural resources, trade liberalization, and nutrition. For example, even before the climate change became a buzz word, PhilRice had been developing technologies to help rice farmers, which include, among others, breeding varieties that have resistance against saline, drought, and submergence.